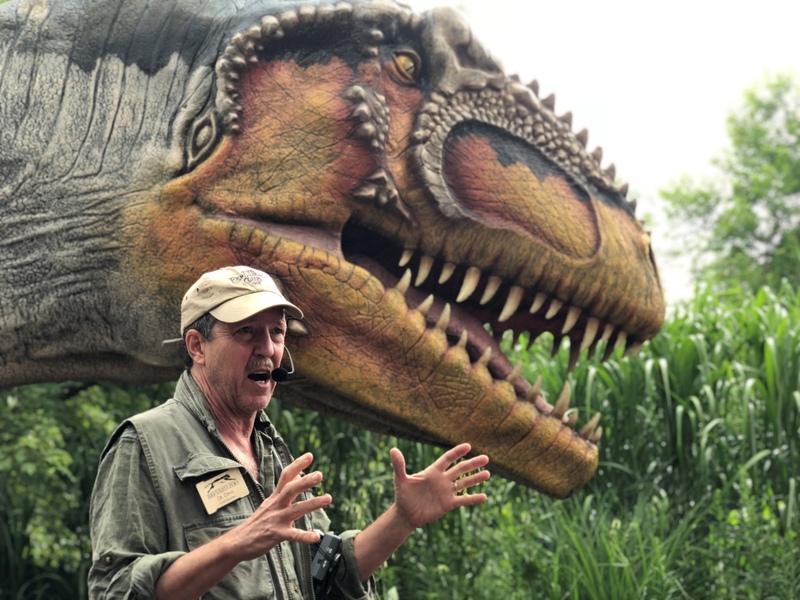 A prehistoric party like no other! 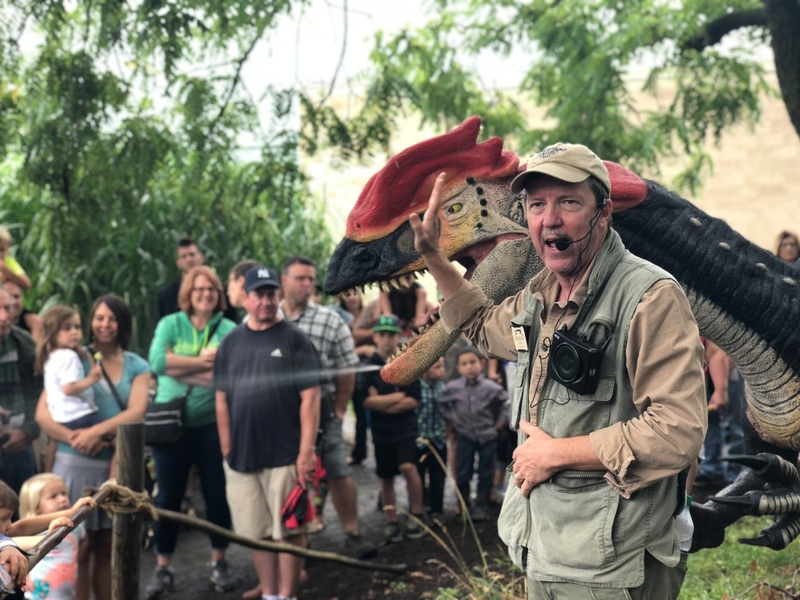 Dino Days 2018 was our best year yet! Even though we had a little rain, we shattered last year’s attendance records both days! In case you missed it, here’s a small recap of how our weekend went. 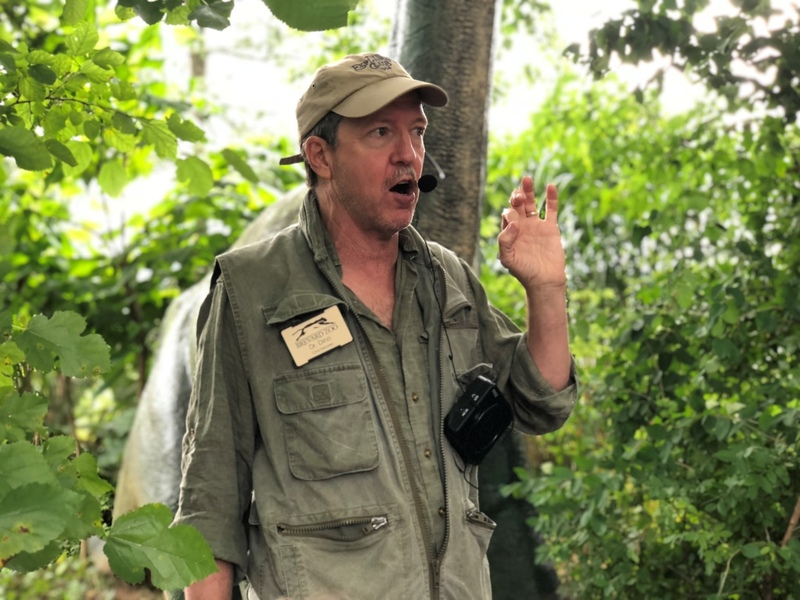 Throughout the event, Dr. Dino led us on expeditions through Dinosaurs Come to Life. We learned fascinating facts about our dinosaurs and what they were like while they were alive. 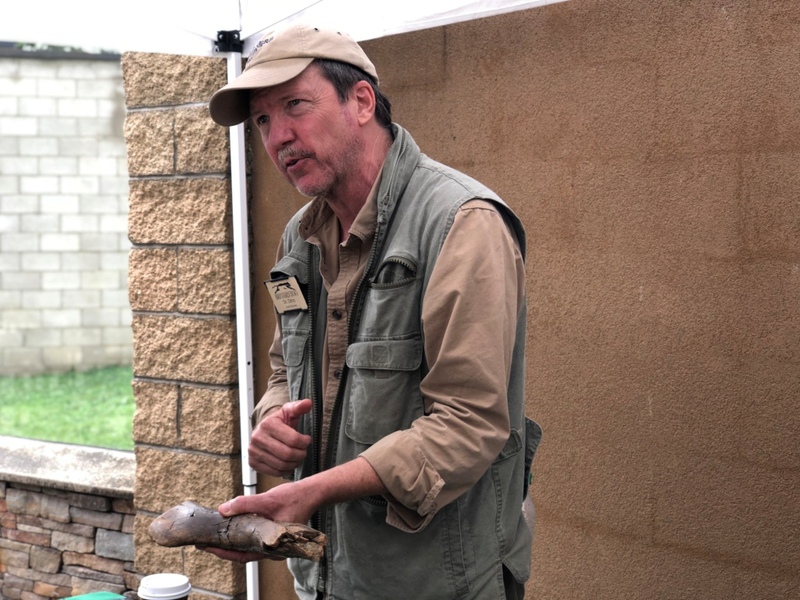 At his station outside of the exhibit, he shared his collection of real and replica fossils for us to touch! 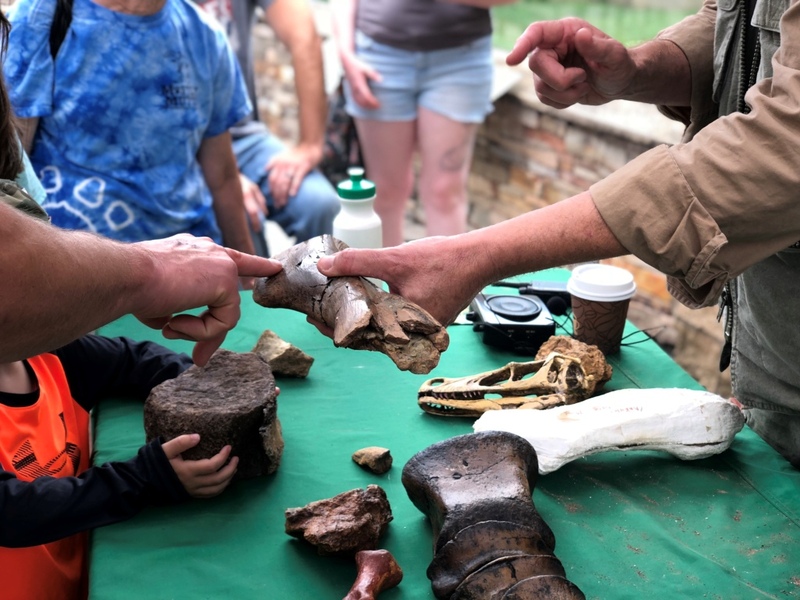 We heard all about toe bones, plant matter, raptor skulls and claws, and even a little bit of dino poop! 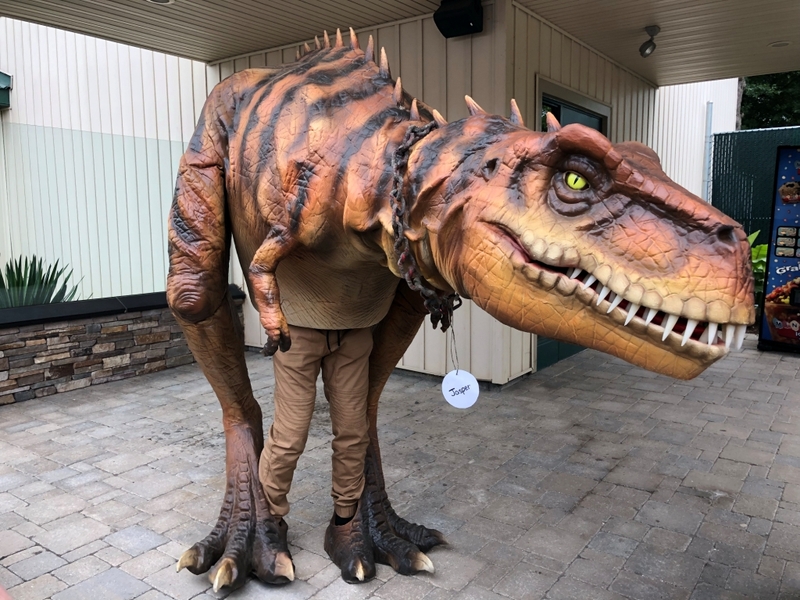 For the first time this year, we had a few dino guests from PA Dinosaurs! 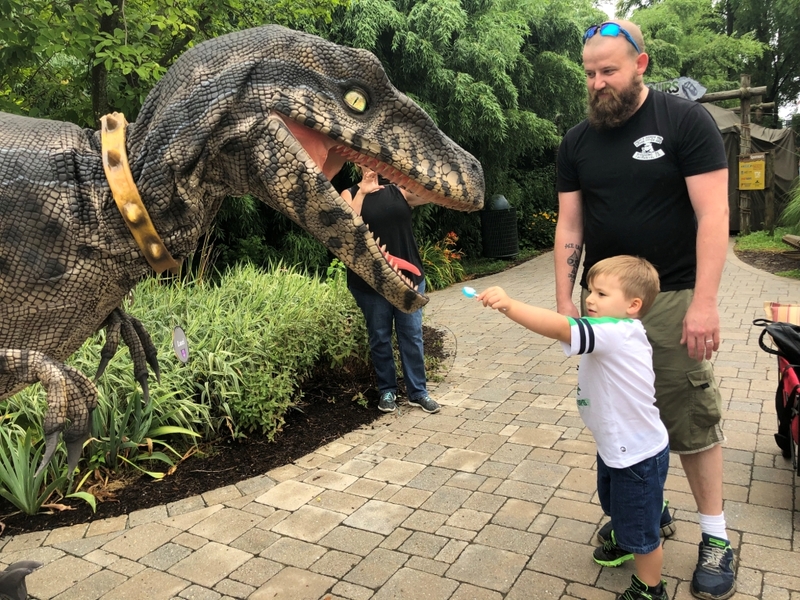 On Saturday, Jasper the Raptor visited the zoo with his little sister Chyna! 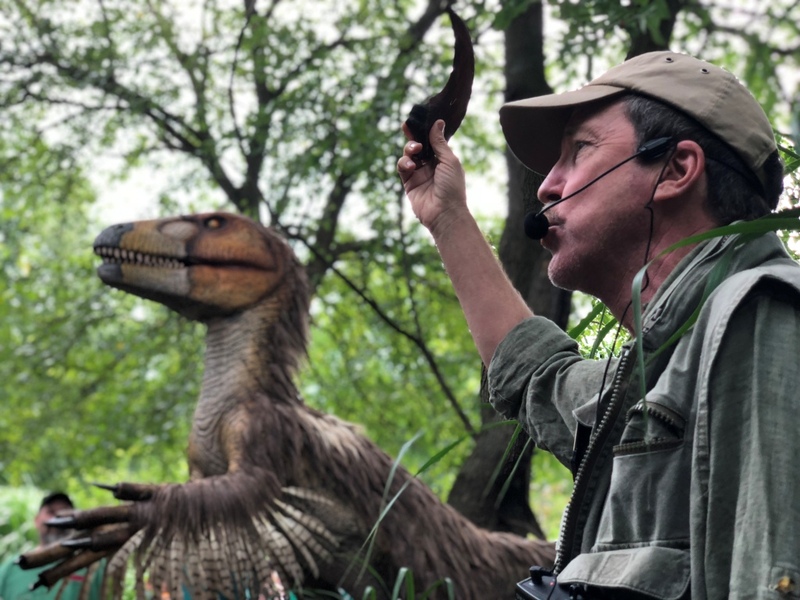 Luci the Velociraptor and Chyna hung out with us all day Sunday. To many parents’ surprise, kids weren’t too intimidated by these lovable giants! The three of them received lots of attention. Luci was even offered a lollipop from a generous admirer! 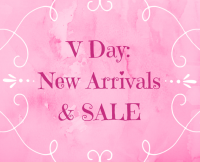 Crafts, treats, and prizes, oh my! At our craft station, we made mini triceratops heads out of painted egg cartons, cupcake liners, and pipe cleaners. Everybody was so creative! 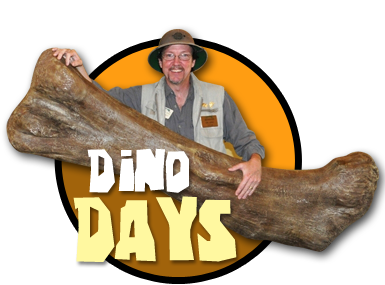 Dr. Dino was even able to hand out triceratops fossil pieces to a few lucky people each day. Our dinosaur fossil lollipops were a huge hit as well! Dylan B! 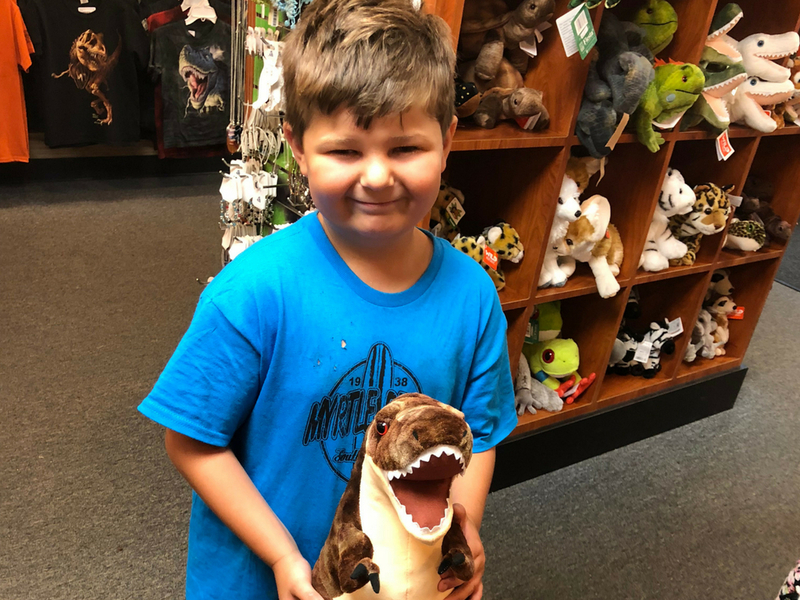 Congratulations Dylan, we hope you enjoy your t-shirt and T. Rex plush! 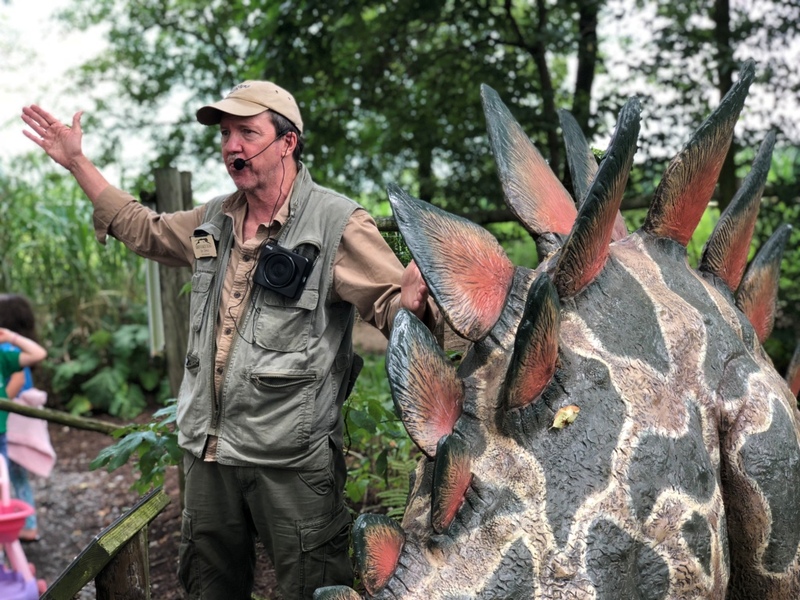 We want to thank Dr. Dino for sharing his expertise and PA Dinosaurs for bringing Jasper, Luci, and Chyna to join us for the weekend! Most of all, we want to thank everyone who braved the weather to attend. We love dinosaurs, and we’re so glad you do too. 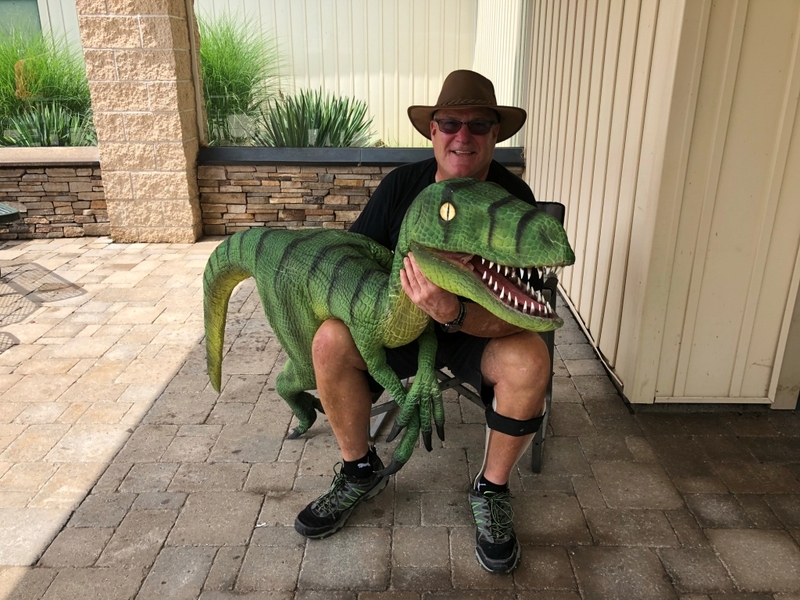 Thanks to you, Dino Days 2018 was truly dino-mite! We hope to see you next year! We hear you! 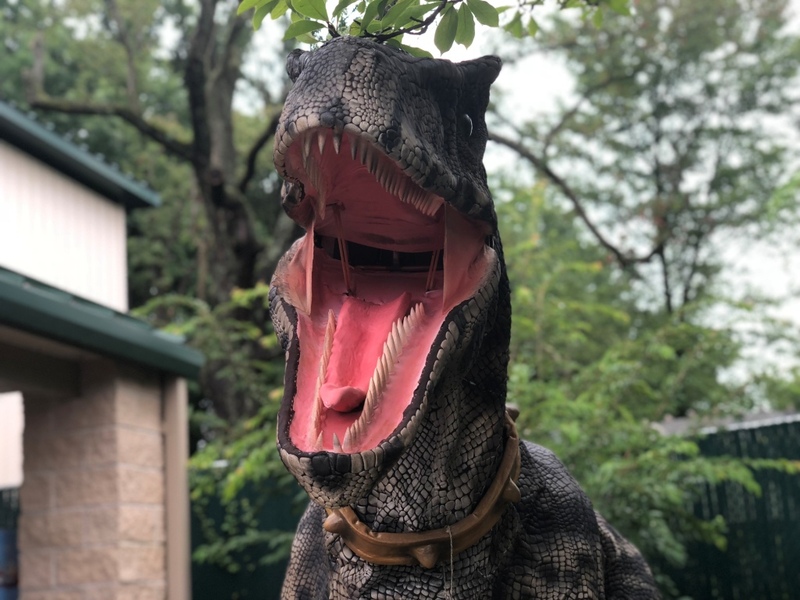 Check out our Dinosaurs Come to Life exhibit featuring animatronic dinosaurs, open daily through October! 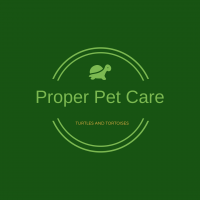 Proper Pet Care: Turtles and Tortoises What’s in Store: New Arrivals and SALE for V Day!